I pretty much make it a habit of making wall art out of anything other than wall art. I'm not sure that even made any sense. My point is I LOVE to dress up my walls with fun, unexpected things; not like unexpected-taxidermy-opossum-head things or anything like that. Does such a thing even exist? Ugh, I shudder to think about it. Have I ever told you about how I have constant nightmares about being attacked by opossums? Seriously, I would rather sit in a tank surrounded by tarantulas than to be in the same proximity of an opossum. OMG, how did we get here? Oh yeah, wall art that's not wall art! So as I mentioned I have used all kinds of things to create wall decor, take my gallery wall, for example. 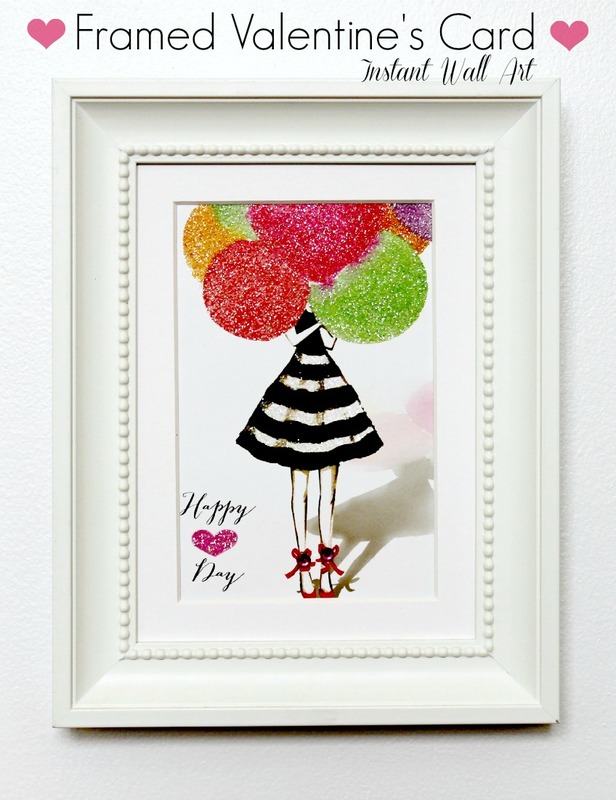 Another thing I love to use for art decor is cards, it's such an inexpensive way to jazz up your walls and some cards nowadays are practically gallery-worthy! I came home, immediately scribbled a sweet message in them, stamped them and sent them on their merrily way to some deserving recipients. Just kidding....why would I do that? I framed one and hung it on my wall. Isn't this card darling? I'm considering on keeping it hung in my office all year. I mean who is Hallmark to say we can't celebrate Valentine's Day everyday? So what kinds of things do you hang on your walls? I was just looking at cards to use for the same purpose. Love this idea. Cards are really beautiful!